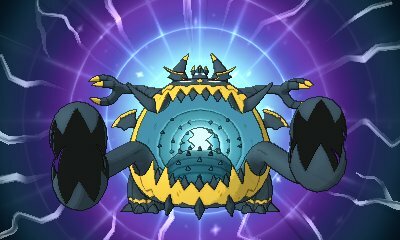 The Ultra Beasts are a classification for a collection of Legendary Pokémon that come from another dimension, and the Aether Foundation want to use one Ultra Beast, Cosmog, to create wormholes to harness the power of Ultra Beasts. Through the game, you will encounter and capture these mysterious Pokémon and when you encounter them, they start with a stat boost due to energy from the Ultra Wormhole. 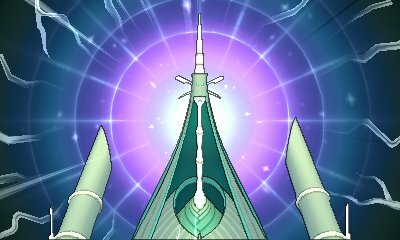 After this encounter, you then see UB-01 again when Lusamine forces Cosmog to create an Ultra Wormhole. 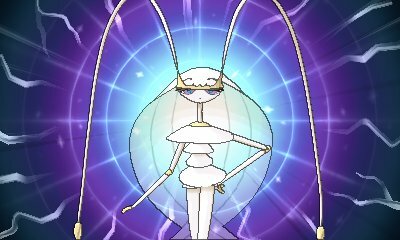 This causes Ultra Wormholes to open up across the Alola Region, notably seen with Buzzwole/Pheromosa appearing and facing off against Tapu Koko. After that, you'll see a group of Nihilego in Ultra Space, where one temporarily merges with Lusamine. After defeating the league and becoming the first Alola Region champion, you will receive an Enigmatic Card from a mysterious man outside your house requesting to go to the motel in Route 8. Follow the instructions and you will meet Looker and his boss, Anabel. 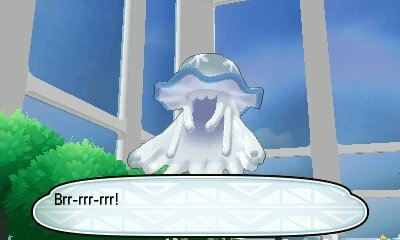 They will request your help to hunt down the Ultra Beasts, as many have managed to get through to the Alola Region and are causing havoc. First, Anabel will challenge you to a battle. After defeating her, she will suggest going to the Aether Foundation to speak with Wicke. Wicke will give you the prototypes of special Beast Balls. These special PokéBalls have a high capture chance when used on the Ultra Beasts, but have a very low capture rate when not used on Ultra Beasts. Return to Route 8 and Looker will burst into the motel saying that UB-01, the Pokémon Nihilego, has been spotted in Wela Volcano and Diglett's Tunnel. They request for you to go hunt it down and capture it. When you get there, it can be found in the grass/cave just randomly. You'll know it's in the area as the music shall change. 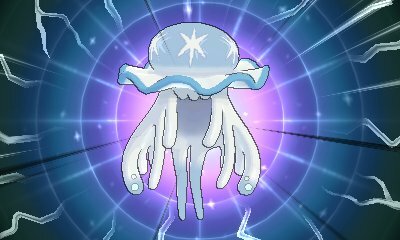 When the battle begins, Nihilego will be absorbed by an aura which boosts its Special Defense by two stages as standard. It is Level 55 and Rock/Poison-type. 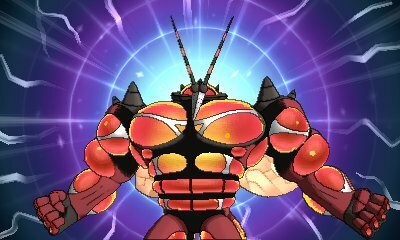 When the battle begins, Buzzwole will be absorbed by an aura which boosts its Defense by two stages as standard. They are Level 65 and Bug/Fighting-type. 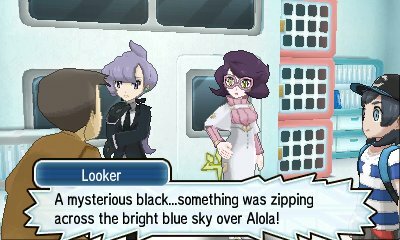 After capturing Buzzwole/Pheromosa, when reporting to Anabel, Looker will come in and say there has been another sighting in Akala Island so they suggest regrouping in Route 8. When there, you meet up with the final Trial Captain, Mina, who informs Looker that she has seen UB-03, otherwise known as Xurkitree. Before she tells you where it is, she challenges you to a battle. Defeat her and she will inform you that Xurkitree has been seen in Memorial Hill and Lush Jungle , and that there are two of them. It's your task to capture them all. 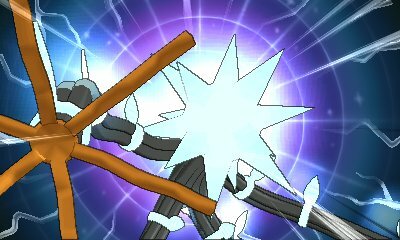 When the battle begins, Xurkitree will be absorbed by an aura which boosts its Special Attack by two stages as standard. It is Level 65 and Electric-type. 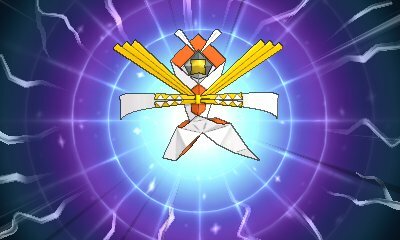 When the battle begins, Kartana will be absorbed by an aura which boosts its Attack by two stages as standard. They are Level 60 and Level 65 and Grass/Steel and Steel/Flying-type respectively. When the battle begins, Guzzlord will be absorbed by an aura which boosts its Attack by two stages as standard. It is Level 70 and Dark/Dragon-type respectively. Return to the restaurant and Looker & Anabel will congratulate you on a job well done and suggest reporting to Wicke about having contained all the Ultra Beasts. When you go there, Looker bursts in and informs you of a mysterious black creatured zzipping across the sky of Alola. He insists it's an Ultra Beast but Anabel says there's no word of more Ultra Beasts. They say about how it must be Looker being tired. 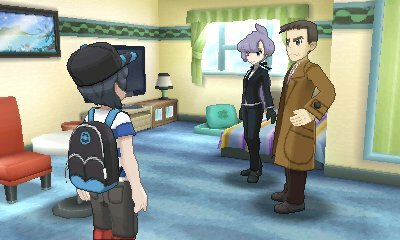 Anabel leaves to meet Nanu and Looker goes to the motel on Melemele Island.